Ernest Edwin Ewald born August 21st, 1929 passed away at the age of 89 in the presence of his family. Ernest was a well-known and respected businessman and rancher. His strong work ethic, integrity and commitment was reflected in all he did. Early in his life he established his career as a conservation contractor; building ponds, lakes, and clearing and improving land throughout Central and South Texas, a business he held for thirty-three years. He was also a road building contractor for several of those years. He enjoyed improving and managing his cattle operation, which he did so well. After retiring from his construction business, ranching became a passion he enjoyed throughout his entire life. Ernest was a former member of the Conservation Contractors Association, Independent Cattleman’s Association of Texas and the Farm Bureau. He was awarded Agribusinessman by the Lockhart Chamber of Commerce in 1992 and was also honored as Outstanding Conservation Rancher by the Caldwell-Travis Conservation District. His life treasure was his family, which he loved so much, with love returned by all. Ernest will be remembered for his generosity and unconditional love for all, his legacy of life. He is survived by his beloved wife and best friend in marriage for 69 years. Alma Bienek Ewald; one son, Ernest Ewald Jr.; three daughters, Mary Barrow and husband Ernest, Donna Franks, and Kay Bearden and husband Kevin; eight grandchildren: Valerie Stephens, Timothy Ewald, Joshua Franks, Josiah Franks, Jason Franks, Bradley Chambers, Ashley Chambers, Angela Sprouse; nine great grandchildren, Tyler Sprinkle, Savannah Stephens, Gavin Cigich, Hayden Ewald, Casen Ewald, Jaxson Franks, Jade Franks, Braden Chambers and Colin Chambers; one great-great granddaughter, Rylinn Henry; one sister, Dorothy Grohman and many relatives and friends.  He is preceded in death by his father and mother, Herbert and Ella Ewald; brother, Herbert Ewald Jr.; sister, Adline Rathman and grandson, Ernest “Trey” Ewald. Visitation will be held at McCurdy Funeral Home from 5 to 7 PM on Thursday, Nov 15, 2018. ¬¬¬ A funeral Mass will be held on Friday November 16th at St. Mary’s Catholic Church beginning at 10 AM with Father Ed Karasek officiating. Entombment will follow at Memory Lawn Memorial Park Mausoleum, Martindale, TX. Pallbearers will be Joshua Franks, Josiah Franks, Jason Franks, Timothy Ewald, Bradley Chambers, and Oma Claunch. Honorary pallbearers are Tim Von Dolen, Clayton Shafer, Danny Buckner, Keith Bexley, Johnny Barron, Tommy Kirkpatrick. In lieu of flowers the family suggest contributions be made to St. Mary’s Catholic Church Building Fund at 205 West Pecan St. Lockhart, Texas 78644, Independent Cattleman’s Association at 220 West San Antonio St. Lockhart, Texas 78644 or the charity of your choice. Arrangements are under the care and guidance of McCurdy Funeral Home. And though we can not see you, you are always at our side.Our family chain is broken, and nothing seems the same, but as God calls us one by one, the chain will link again.